Thursday, Nov. 2 is Color Day. Students in the following grades wear the following colors - Kinder – yellow, 1st – orange, 2nd – pink, 3rd – purple, 4th – red, 5th – green, 6th – blue, 7th – black, 8th – tie dye or rainbow. Principal’s message – A reminder that next week is Spirit Week for our students! It is to be a fun week, with different themes each day. Please remember that students must still adhere to the PPS dress code. We then conclude the week with the middle school dance onThursday, Nov. 2 from 6 pm to 8 pm. A huge thank you to everyone who helped out with the Fall Frolic! Everything ran very smoothly and families had a great time! And finally, we have conferences coming up soon. Conferences are scheduled for November 8 and 9 from 8 am to 8 pm. If you have not signed up yet, you may contact our main office to set up a time to come in and discuss your child’s progress so far this school year. We hope to see you here! Here’s what’s going on in the counseling world at Winterhaven. 6th grade will also get our district Pocket Directory handed out and explained to them. It is a small pamphlet with resources for them that every middle school student in the district gets. I’ll go over it quickly with them as well. 7th and 8th had them handed out in their core classes already. Be sure to hug your kids this week. There is a lot of depression, stress and anxiety in the building. I keep encouraging our kids towards the trinity of relaxation: exercise, art and mindfulness. Together they work exponentially and best if done daily and together as a family. Don’t we all need a little help with letting go of the stresses in our lives? In a few weeks, you can ask your students to teach you about mindfulness, which will help you talk together as well as solidify their learning. Every year there is a family or two who are surprised by what high school neighborhood they are really in. The west side changed pretty drastically recently with a few subtle changes on the east side as well. Double check your neighborhood schools here: https://www.pps.net/Page/2379. The lottery for the high school choice system is super early this year, November 13th - December 1st. Fair warning: it will be extremely difficult to transfer somewhere other than Benson, MLC or Jefferson. Our question of the week: What makes talking about race difficult? What can we do to overcome this? Chinook Books – Available for one more week, buy your Chinook Book or app through us and benefit the PTSA! Books are $25 and apps are $15. 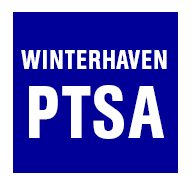 Make checks out to “Winterhaven PTSA,” leave your money in the PTSA mail box in the school office, and I’ll leave your books/apps in the office for you to pick up. Email questions to margo.dobbertin@winterhavenschool.org. Late arrivals/tardies – Please be sure that your students arrive on time to school. Our school day starts at 8:45 am and we want to ensure that their classes are able to start on time without any disruption. Thanks!